AMBUSH® began as an experimental line of jewelry – innovative pop art inspired designs capturing a distinct Tokyo aesthetic. The iconic trademarked POW!® motif in particular received media coverage around the world. With apparel created as a canvas to complete the story, AMBUSH® evolved into designing unisex collections. The brand made its Paris debut in 2015 with VERBAL & YOON being listed as two of Business of Fashion’s Top 500 people influencing the global fashion industry in 2015 through 2017. In 2017 AMBUSH® was selected as one of the top 8 finalists for the LVMH PRIZE. 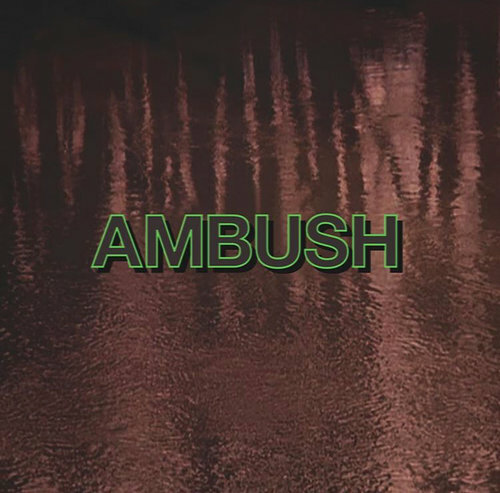 AMBUSH®’s uniquely crafted parts form an idiosyncratic style that led to commissions and collaborations with an illustrious list that includes Louis Vuitton (Kim Jones), sacai, UNDERCOVER, Off-White, and SHU UEMURA. AMBUSH® opened its first flagship store on September 2nd 2016 in Tokyo, a space which encapsulates the brand’s ethos in a creative environment under one roof with the design studio.